Anyways, back to the 3am part. 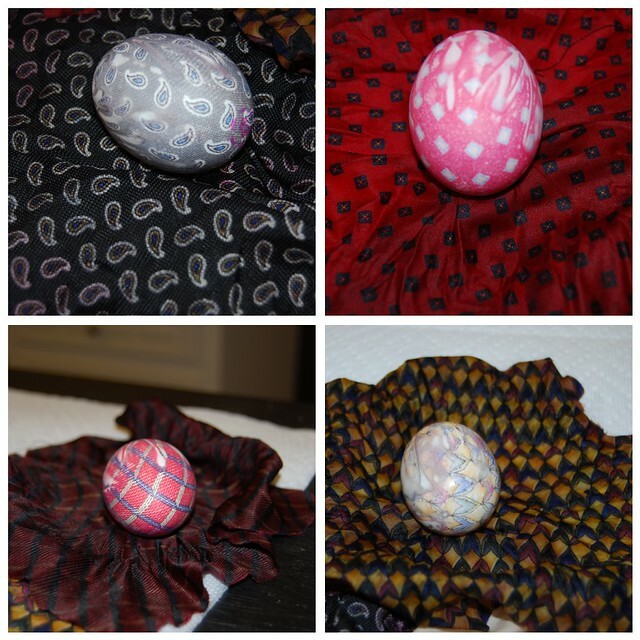 I usually have no trouble going back to sleep after feeding McKenna but after reading about this fantastic silk dyed egg craft the other night I just laid in bed thinking about it. We went straight to Goodwill the next day to buy some silk ties. You have to have 100% silk ties for this to work. Cut the seams of the tie and take out the lining. 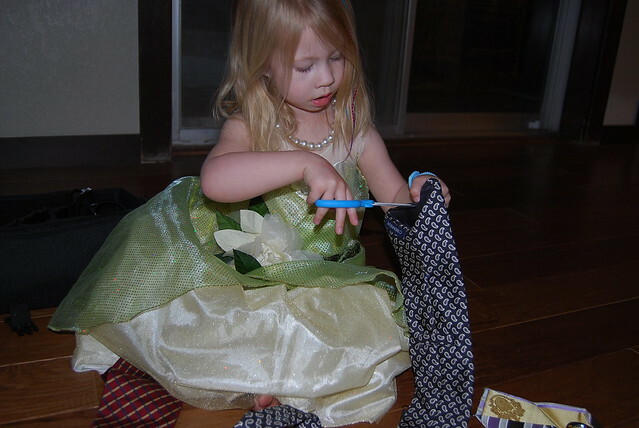 Lucky for me I had a princess who was very helpful. 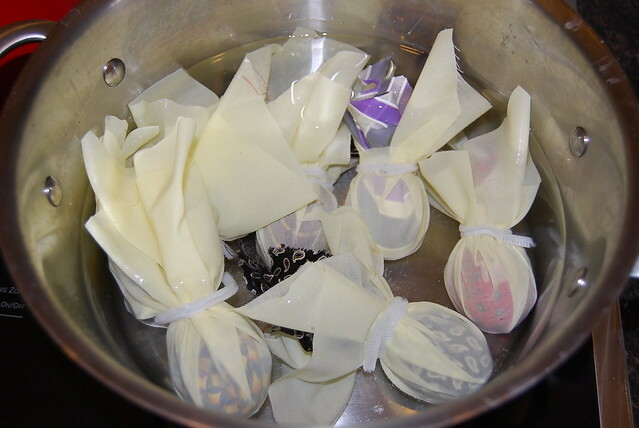 Then wrap the tie around an egg with the right side of the tie touching the egg. I used pipe cleaner to close the top. Try to get the tie as close and flat as possible to the egg. The more direct contact with the egg, the clearer print you will get. Then wrap a light weight fabric around the egg. Boil the eggs in water and 1/4 cup of vinegar for about 20 minutes. Then let them cool for about 10. It really is so cool when you unwrap them! I couldn't believe it really worked. So cool! 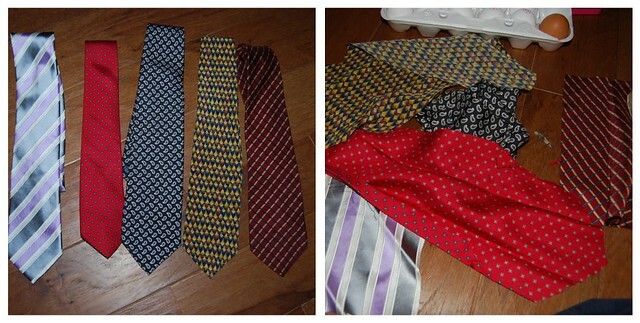 Some turned out better than others and our goodwill didn't have a lot of silk ties to choose from. 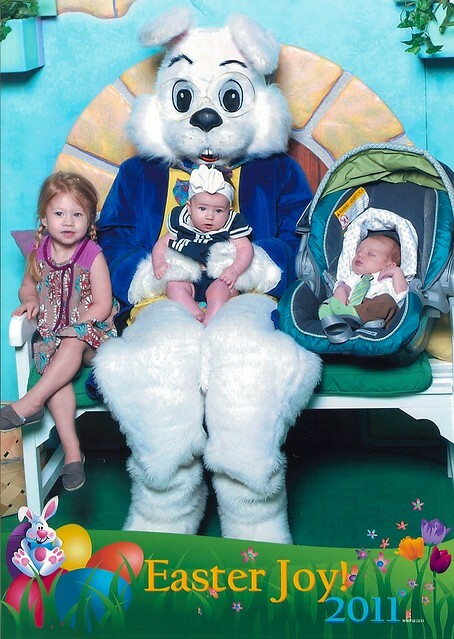 Brittany and took the kids to see the Easter bunny at the mall the other day. This picture makes me smile. I am cracking up that Ella has her legs crossed, McKenna is so alert and sweet little Coop is just chillin. Hope everyone has a wonderful Easter! 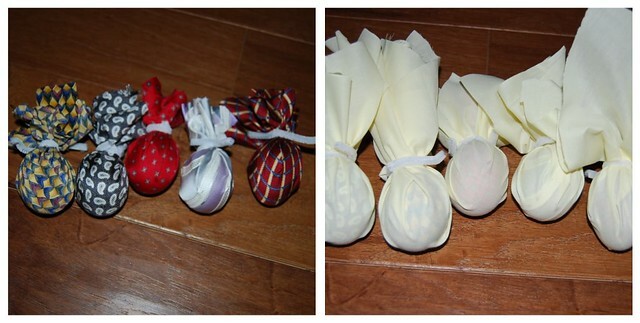 I just did the silk dying eggs yesterday! Darker jewel colors seem to work best... Yours look great!